An archery hunter near Bozeman killed the first wolf to be harvested in the gray wolf hunting seasons that opened in Montana earlier this month. And at least 10 gray wolves had been tagged in Idaho – including one in the Panhandle – through the first two weeks of the season that opened Aug. 30. Wolf permits this year have been selling at a fraction of the rate they were purchased during the first wolf hunts two years ago. 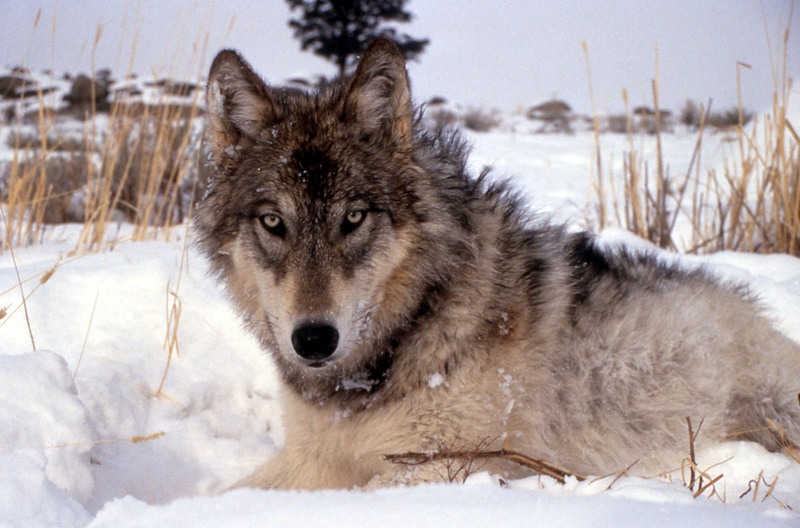 A federal court case canceled the 2010-2011 wolf hunting seasons in Idaho and Montana. The seasons resumed this fall after wolves in Montana and Idaho were removed from federal protection by Congress. Idaho Fish and Game Department officials say many hunters are likely to wait until they purchase deer or elk tags before buying wolf tags. Idaho wolf tags are $11.50 for residents. Nonresident tags have been discounted to $31.75. In the seven-month 2011-2012 season, Idaho wildlife officials plan to use hunting and trapping to take basically as many of the state’s 1,100 wolves as they can get, knowing the number is likely to be only a few hundred. Quotas have been set in only a few zones. No quota has been set in the Idaho Panhandle. The Idaho wolf trapping season will open in November. In Montana, hunters will be allowed to kill up to 220 wolves, compared with 75 in the first hunt in 2009. The archery season opened Sept. 3. The early backcountry season for hunting wolves with rifles begins today and the general season begins Oct. 22.